In a previous article we asked, “Does God Command Evil Actions in the Bible?” We saw that God “is in no way to be considered the direct or indirect cause of evil” (Catechism of the Catholic Church 311). So it would not make sense for him to ask anyone to act in an evil way. So then why does God tell Abraham, “Take your son Isaac, your only one, whom you love, and go to the land of Moriah. There offer him up as a burnt offering on one of the heights that I will point out to you” (Genesis 22:2)? 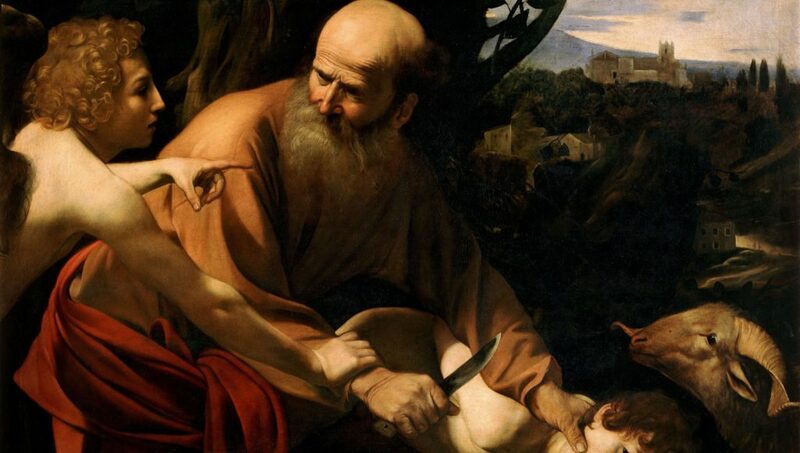 How can God ask Abraham to offer his own son as a human sacrifice? As we saw in the first question, context is key. To understand what is happening in Genesis 22 we need to see what happened in Genesis 21. Isaac was not the first son born of Abraham, but he was the first son born to his wife, Sarah. After bearing Isaac, Sarah wanted nothing to do with Abraham’s other son, Ishmael. So she commanded Abraham, “Drive out that slave and her son! No son of that slave is going to share the inheritance with my son Isaac” (Genesis 21:10)! It’s ironic that Sarah asks for this, considering it was her idea for Abraham to sleep with “that slave girl” (see Genesis 16:2). What’s more shocking is what Sarah’s command implies. Hagar was a slave with no one to turn to for help. Being sent away from Abraham’s provision and protection was essentially a death sentence for her and Ishmael. God reassured Abraham, “Do not be distressed about the boy or about your slave woman. Obey Sarah, no matter what she asks of you; for it is through Isaac that descendants will bear your name. As for the son of the slave woman, I will make a nation of him also, since he too is your offspring” (Genesis 21:12-13). At this point Abraham has learned to trust God. He knows God’s word is true, and so he knows Ishmael will live, and Isaac will be the father of his descendants. So he does as he was told, and sends Hagar and Ishmael away. It’s interesting that at the moment Hagar fears that she and Ishmael will die, an angel appears and spares them (see Genesis 21:16-21). We’ll see why this is important when we turn to the story of Isaac’s sacrifice. Abraham has faith, and he does as he is told. He takes Isaac to be sacrificed. 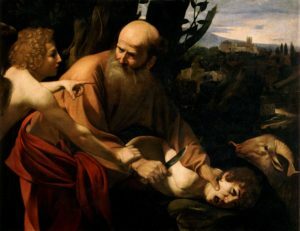 By faith Abraham, when put to the test, offered up Isaac, and he who had received the promises was ready to offer his only son, of whom it was said, ‘Through Isaac descendants shall bear your name.’ He reasoned that God was able to raise even from the dead, and he received Isaac back as a symbol. (Hebrews 11:17-19). God has proven himself to Abraham more than once. He knows that God is a God of love who is true to his word. Abraham at his advanced age was “as good as dead,” yet he bore children. Because of this he knows by faith that Ishmael is safe, just as he knows by faith that Isaac will be. Even if he can’t see how, he “reasoned that God was able to raise even from the dead.” just as he had brought forth life from a man as good as dead. And as Abraham is about to commit this deed, an angel spares Isaac just as an angel had spared Ishmael. This article is drawn in part from the book, Walking with God: A Journey Through the Bible, by Tim Gray and Jeff Cavins.